Whether you’ve lost your laptop charger or you’re looking for a replacement for your broken one, finding one that works across different laptops is not easy. 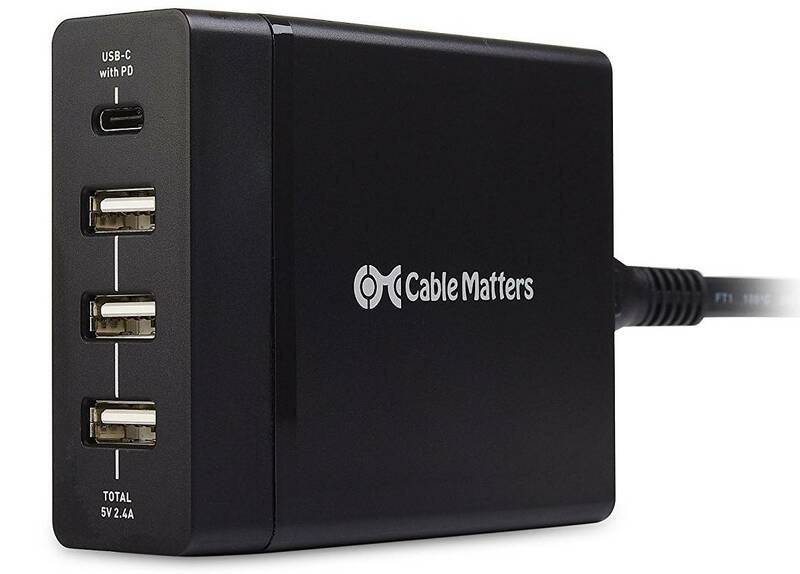 The best USB-C laptop charger not only works with different laptops, but also provides the minimum power needs for your machine, plus is compatible in many ways than just the USB-C connector. A general rule of thumb is to use the laptop charger that came with your laptop from the manufacturer, otherwise incompatibility can lead to a slow charging process or it’ll fry up your laptop’s battery. If your laptop’s manufacturer has no laptop chargers or there are no certified partners available for the same, then it will be difficult to find it. However, if you don’t mind using a third-party USB-C laptop charger, then there are plenty in the market that you can choose from, though they may not be the same wattage or size as the one that came with your laptop. 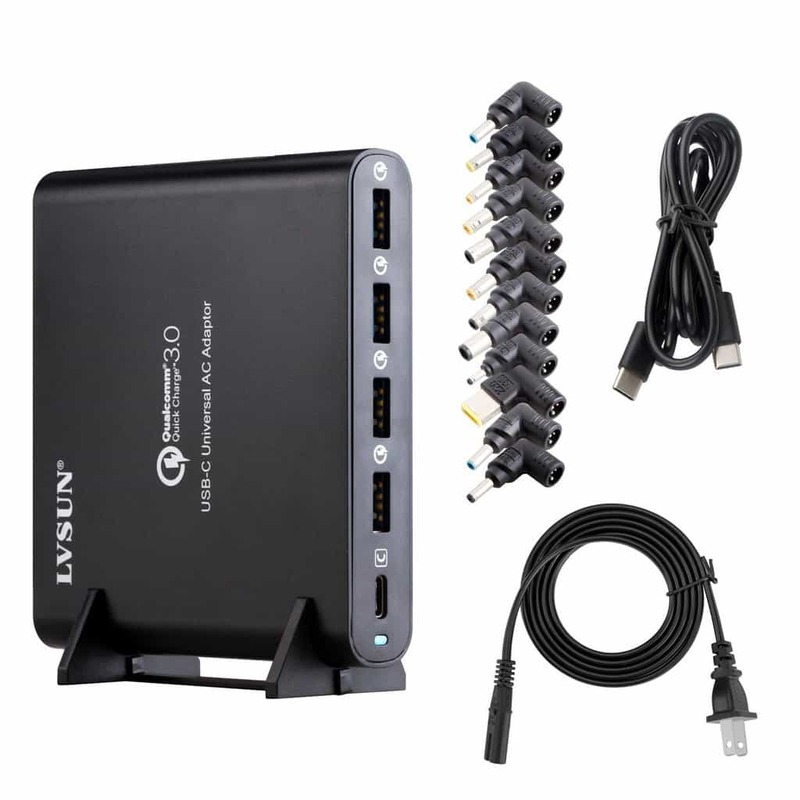 But, these come with more options for plugging in multiple devices simultaneously, plus some have higher power supply ratings so your laptop will juice up faster. Here are our top picks for the best USB-C laptop charger you can use to power up your machine. When you’re looking for the best USB-C laptop charger, looks don’t quite matter as much as performance. This laptop charger comes with the Anker Advantage, which is basically more than 20 million+ happy users (and counting), powered by this leading USB charging brand. Its features include fast-charging technology that enables you to charge any USB-C device at very high speeds with the Power Delivery port. In other ports, the PowerIQ recognizes your device, and then boosts its charging speed by up to 2.4A per port. 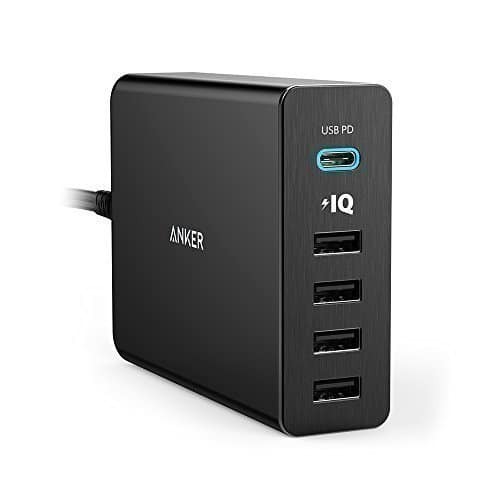 There are five ports: 1 USB-C port with Power Delivery, plus 4 standard USB ports with PowerIQ for multi-device, high speed charging at the same time. Other features include the MultiProtect Safety system so your devices are safe from surges with Anker’s surge protection, temperature control, and other advanced safety features. 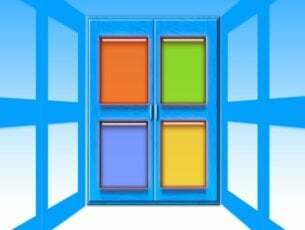 You also get a PowerPort, AC cable, and a worry-free 18-month warranty with friendly customer service. Only the best USB-C laptop charger can deliver high-speed charging, with dedicated ports, and surge protection. That’s where CableMatters laptop charger shines best. This charger has a dedicated 60-watt USB-C charging port and three USB-A charging ports, so a single charger gets the job done instead of carrying around multiple, separate chargers for each device. It is an intelligent USB power adapter engineered with overcurrent, overvoltage, and short circuit protection so your devices are protected while maximizing the charging efficiency of connected devices without risking overcharging them. This charger is also Thunderbolt 3 compatible, for powering and charging laptops requiring above 60W, which will charge at a maximum of 60W. Charge your laptop anywhere with a single electrical outlet, use your existing USB-C cable rated for power delivery, and simultaneously charge up to 4 devices or charge the latest USB-C computer. It is safe and energy efficient, plus limits currents sent to your devices, and it won’t draw any power when it is not in use. 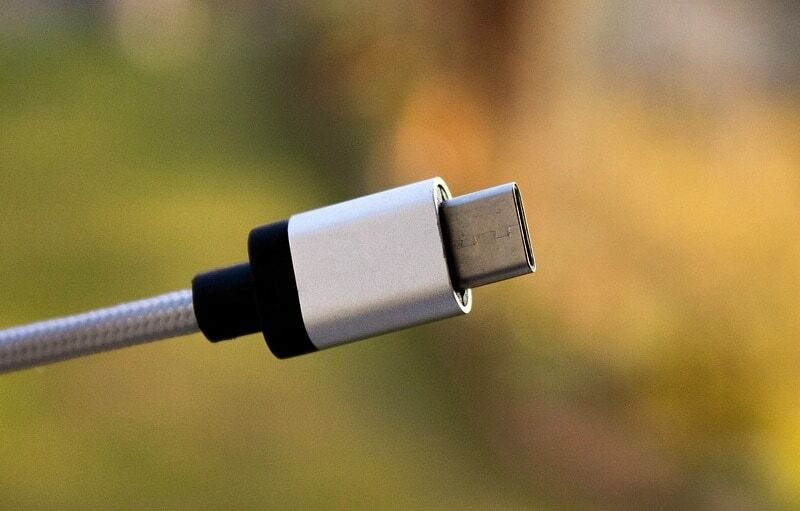 Note: the charger may warm up when all ports are connected, and the USB-C cable connecting to the charger must support USB-C Power Delivery to charge more than 5V/15W. This is the first USB-C universal laptop charger that supplies power for laptops via USB by utilizing the Quick Charge 3.0 smart charging technology. The USB-C port delivers power for laptops with fast charging for other devices such as tablets, phones and any USB powered smart devices. It has a slim design space saver that matches the touch screen mini laptop and is portable for business, travel, and/or holiday. It comes with integrated safety features that make it the best USB-C laptop charger you can get. These include a certification by UL and CE authorities, plus an intelligent safety microchip to prevent overheating, overcharging and overvoltage. The charger promises reliable top quality and durability as it is sold by the manufacturer who has been in the charger field for more than 17 years. All LVSUN chargers are 100% inspected prior to delivery, so you know you’re getting a quality product with each purchase. In the package is a user manual, an AC power supply cord, 80W laptop charger, USB DC cable, 12 DC tips, a vertical stand and fabric bag, plus 2 years warranty and friendly customer service. This laptop charger, like the Anker Premium, also comes with the Anker Advantage of over 20 million+ happy users. It has huge charging power for high speed charging on all devices such as your phone, tablets, and laptops, boasting a USB-C 30W port, and 2 USB ports with 5V/3A each. Its capacity is 26800mAh of power which charges phones more than 7 times, tablets more than twice, and laptops at least once. You can also recharge three times faster, but the time for a full recharge is reduced to 4.5 hours owing to the Power Delivery input that is 27W strong. With this charger, you also get a micro USB cable, USB-C to USB-C cable, travel pouch, welcome guide, PowerCore+26800 PD, an 18-month warranty and friendly customer care. 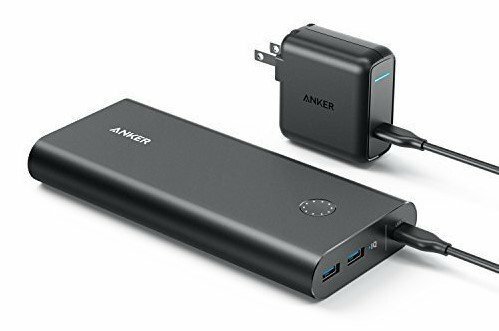 In Anker PowerCore, you will find the best USB-C laptop charger money can buy. It also features superior safety with its MultiProtect technology that combines surge protection, short circuit prevention, and other advanced features for your safety, and that of your devices. Note: In order to activate USB-C output, press the LED power wheel before connecting your device. You can’t talk about the best USB-C laptop charger without mentioning the RAVPower USB-C power bank. This is the only USB PD portable charger with up to 30W, and recharges 26800mAh battery in just 4 to 5 hours tops through the USB-C port, unlike the standard 14 hours recharge. You can also charge all your other devices such as phones, tablets or even a notebook. Its features include large capacity, multiple outputs, advanced iSmart 2.0 technology that automatically detects and adjusts the charging current for the fastest charging, and safety features for preventing overcharging, short circuit, and current surge protection. It is portable and has a scratch resistant matte finish, four bright LED lights to indicate battery level so you know how much juice you have left, two recharging options (Type-C port or 2A input port), and multi-device charging translating to maximum efficiency. 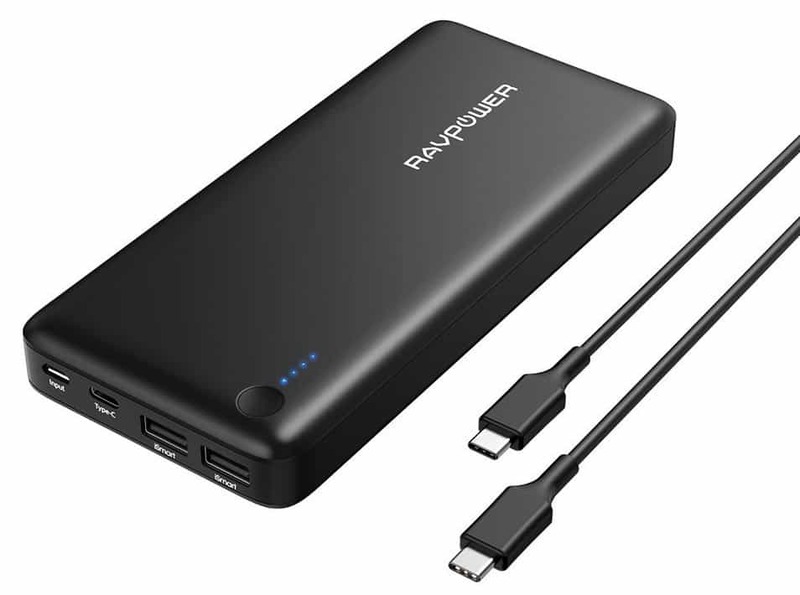 When you purchased this laptop charger, you’ll get a user manual, 2 micro-USB cables, RAVPower USB-C to USB-C cable, a portable RAVPower 26800mAh charger, and a travel pouch. 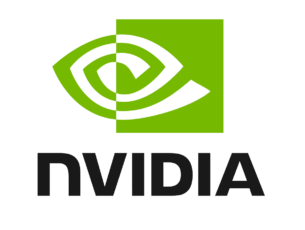 Note: the battery pack charges your laptop once after you connect it, but if it is recharged, long press the power button for 5 seconds to reverse charging. Also, press the power button before connecting your device so as to activate USB-C output. Have you settled on the best USB-C laptop charger for yourself? Let us know your choice, or if you know a good one that deserves to be on this list, share with us in the comments section below.